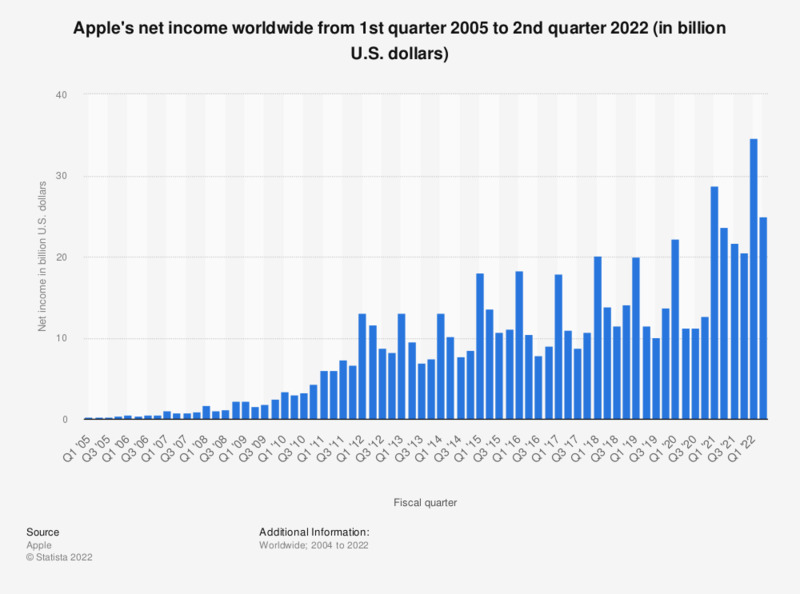 This statistic shows Apple's net income worldwide from the first quarter of 2005 to the latest quarter. In the first quarter of the 2019 fiscal year, the company's net income came to 19.97 billion U.S. dollars. Women: How much do you agree with the statement that you like to record life’s special moments?